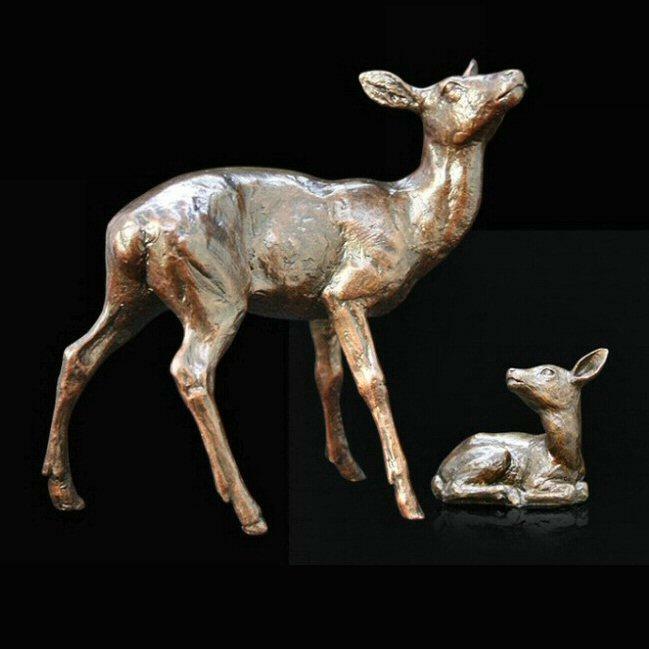 Highland hind and fawn in bronze by renowned wildlife sculptor Michael Simpson. Synonymous with the rugged highlands of Scotland, the charismatic Red Deer are Britain's largest mammal. This hind keeps a watchful eye on her new fawn. Finely detailed, limited edition sculpture in solid bronze with a traditional hand finished patina - a perfect gift for any lover of these magnificent creatures.